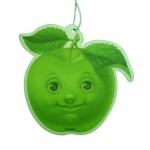 With the enclosure of higher technology, we are busy in offering a complete range of Corporate gifts and Promotional gifts of Car Freshener from Steigens in Dubai. 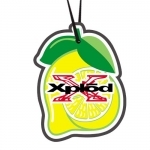 These Corporate gifts car freshener offered by supreme quality chemical composites and complicated techniques in strictly remain to set industry norms at our dealer’s end. Our promotional products are very useful and nice smell for your customers. These business gifts flavor like Car Fresheners also available in Lavender, Aroma, Sandal, and Floral fragrances.